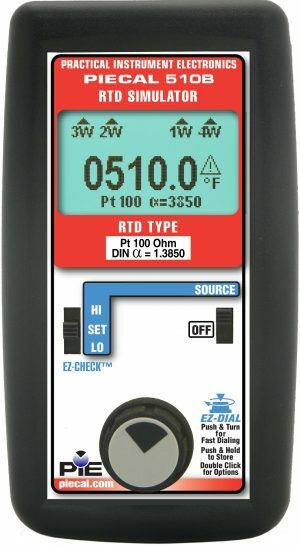 The PIE Model 511B simulates RTD resistances into all types of process instruments including transmitters, recorders, controllers, alarms, data acquisition, and computer systems. 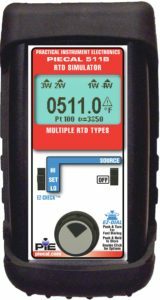 No longer will you need to need to lug a decade box around or make errors reading RTD tables incorrectly. 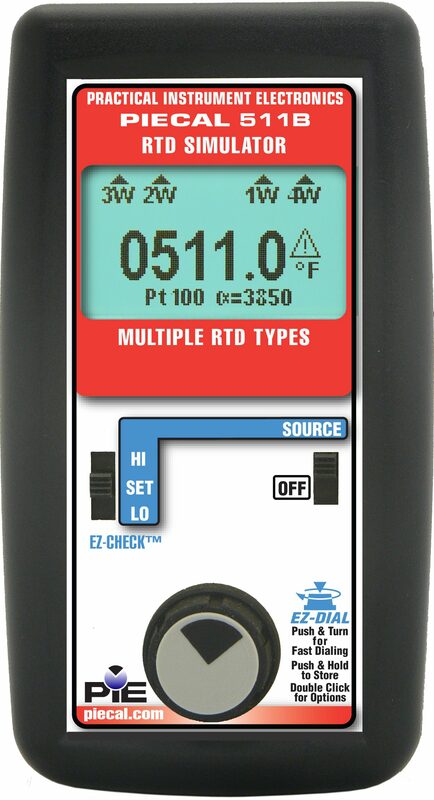 The PIE 511B is a superior replacement for decade boxes while eliminating errors caused by misreading RTD to resistance tables by allowing you to dial directly in temperature. 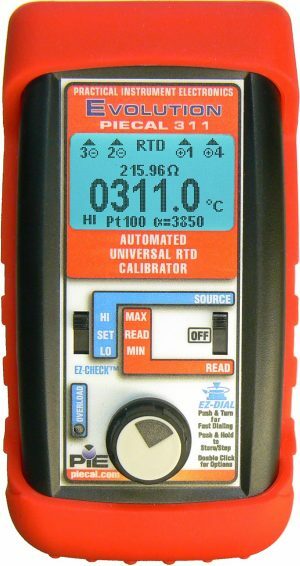 The PIE 511B has better accuracy than many higher priced RTD calibrators. 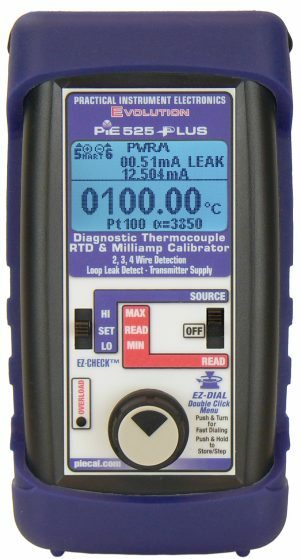 Guaranteed compatible with devices using pulsed excitation currents including PLCs, DCS, multi channel recorders, etc. Works will all instrument ranges across the full range in degrees C & F. Not limited to 11 temperature steps! All PIE Calibrators come with a free signed and dated certificate. 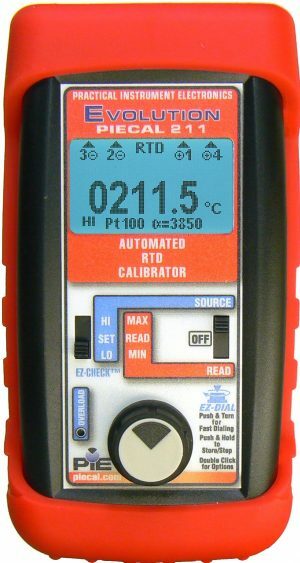 Altek calibrators come only with an unsigned Statement of Calibration Practices with a certificate of calibration available for an extra charge.